© 2009 Gaël Elégoët. All rights reserved. 21 déc ’09 Filed under MiG-21. Tagged 3d...ect, Maya, MentalRay, MiG, Mirage IIIC. Bookmark the permalink. 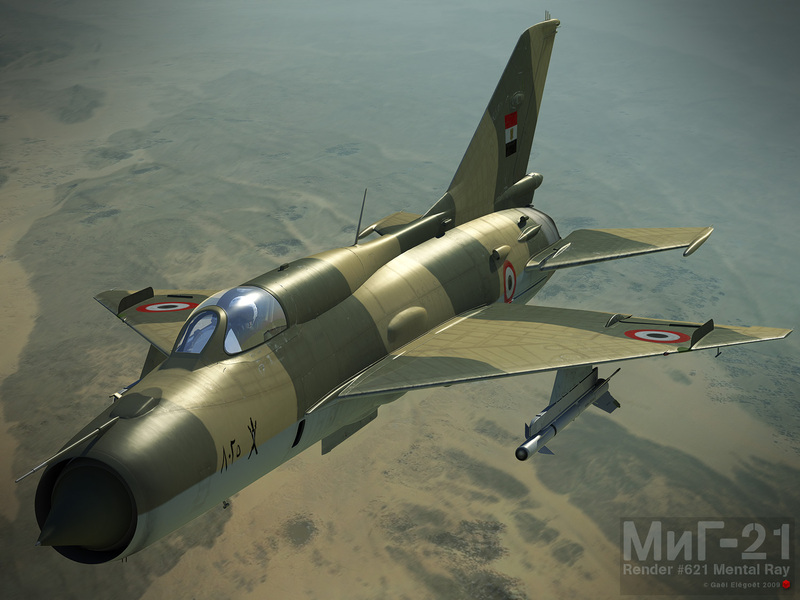 Since i learned a lot doing MR renders with the Mirage IIIC model, been trying some renders of my old MiG-21 model in Mental-Ray. Some work on the textures and shaders are necessary to get a good look. Well just his face… for the moment.